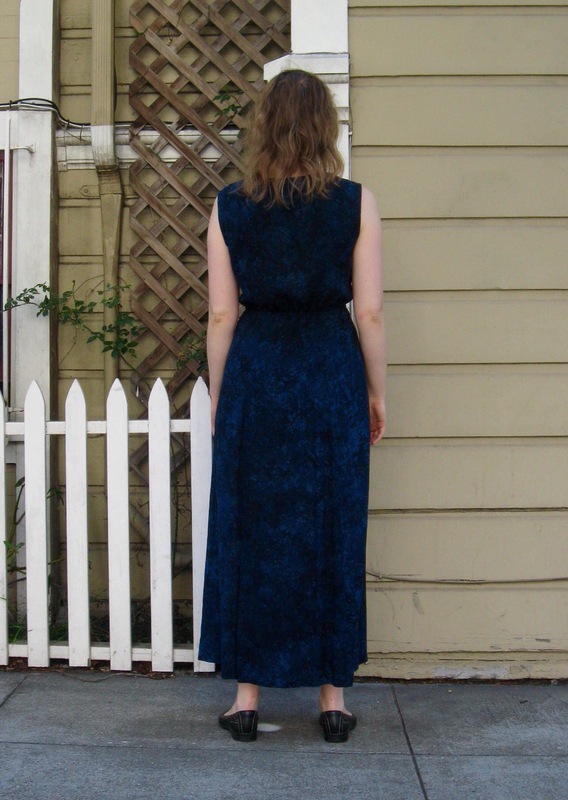 When I first laid eyes on the Southport Dress from True Bias, I knew I had to make one. However, as I thought about which view I would sew and what fabric to use, I realized that I had already made one – sort of. 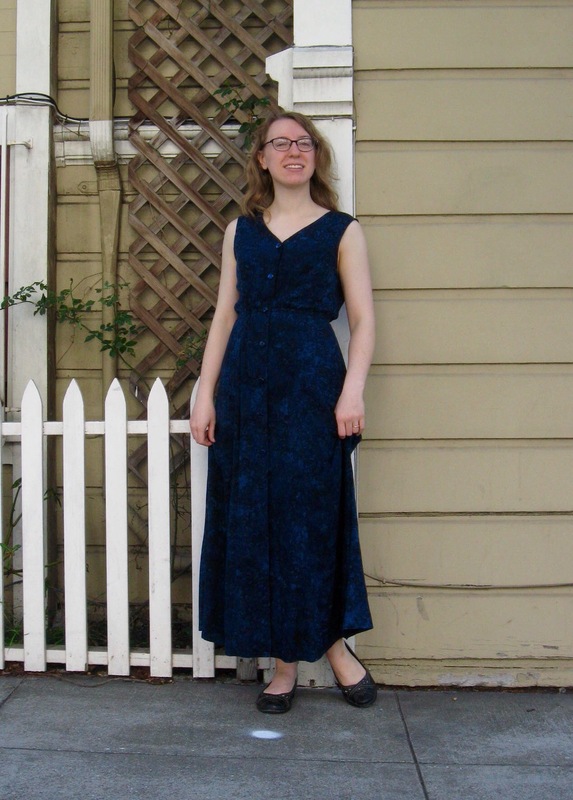 Waaaay back in high school, I had made a v-neck, button-down, short-sleeved maxi dress from a gorgeous navy rayon batik. I wore it a ton in my teens, but then put it aside for the last decade or so, since updated fashion trends (not to mention my updated fashion taste!) had rendered it pretty much obsolete. The short, set-in sleeves and lack of waist definition left it squarely in the 90s, and it was time to move on! However, the Southport Dress inspired me to attempt something I rarely do – fashion an existing garment into something more wearable. Usually I prefer to start from scratch, but since I had loved this dress so much in the past, and since it was something I had made myself, I wanted to extend its life as much as possible. So, I pulled out my trusty seam ripper and got to work! Getting the elastic waistline to behave was a bit trickier, since the dress had no waistline to begin with. I basically used a trial-and-error method of trying to mark the waistline in with chalk (which was not easy, thanks to the slinky rayon! ), trying to measure down from the shoulders, and ripping out and resewing when it didn’t work. 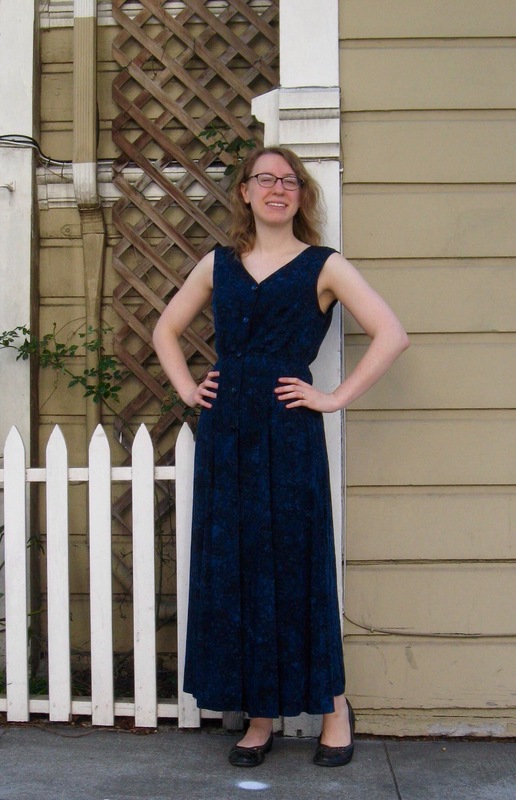 I created a casing with more bias tape on the inside of the dress and threaded 1/4″ elastic through, securing it at the button band on both ends. 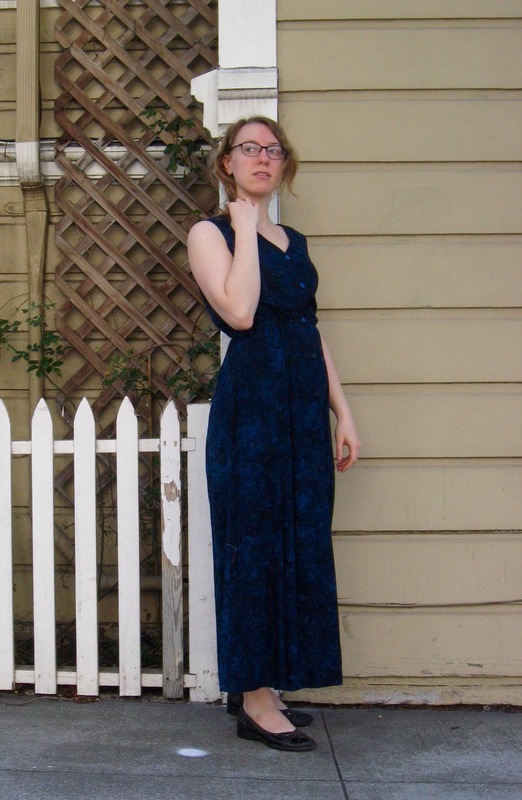 All in all, I’m very pleased with my fashion, and this dress has gotten a lot of wear since! I’m so happy to have turned a former favorite into a new favorite :).